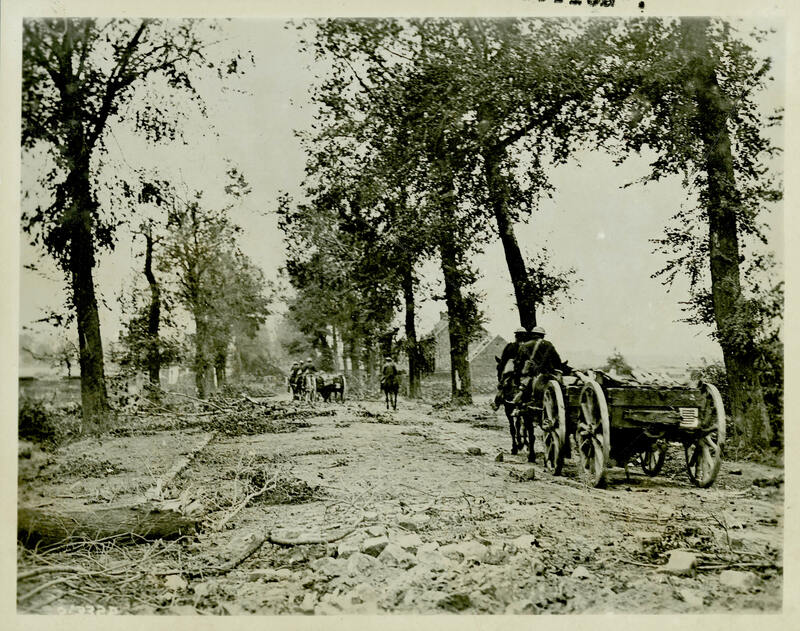 Canadian ammunition limbers on the devastated Arras-Cambrai road during the Battle of Arras in late August 1918. At the front, almost all ammunition and supply transport was horse-drawn. There were few vehicles or undamaged roads.